Craig Worth, National Sales Manager at BoilerMag, offers some tips for installers when explaining the benefits of fitting a filter to their customers. Recent statistics acquired by the Energy Saving Trust show that in a typical UK household, more than half of the money spent on fuel bills goes towards providing heating and hot water. With fuel costs on the rise, it’s never been more important to have an efficient and cost effective heating system, both from a financial point of view and when thinking about reducing carbon dioxide emissions and protecting the environment. Here, we take a look at some of the important messages installers should look to get across when explaining why their customers should install a heating system filter. When boilers are operating at peak performance, they can be very economical and highly efficient to run. Central heating systems fitted with modern boilers can be particularly efficient due to the waterways being much narrower. But when boilers don’t work at their peak performance, the levels of heat that they produce can be significantly reduced, causing heating costs to dramatically increase. Boiler breakdowns are commonly caused by corrosion of the iron and steel components within a central heating system. This corrosion causes magnetite, or ‘black sludge’ to accumulate in a system, which can easily block a boiler heat exchanger, boiler pump, or even the radiators. Unfortunately, the accumulation of even a small amount of magnetite can dramatically decrease the efficiency of a heating system. As the system struggles to perform correctly, the boiler is unable to heat water efficiently, resulting in increased heating bills as homeowners turn up their thermostats. Common symptoms of black sludge include noisy pipes, low heat levels, cold spots in radiators, increased energy costs and boiler breakdowns. Showing a customer an example of a cold spot in a radiator can often bring the message about the importance of filters home to consumers. Keeping a system free of black sludge, therefore, has a number of benefits, from increasing boiler life and preventing call-outs, to a reduction in carbon emissions and a decrease in the amount of energy used to heat water. The BoilerMag domestic boiler filter not only carries a three year warranty, giving installers peace of mind when fitting, it can also reduce energy bills for their customers. 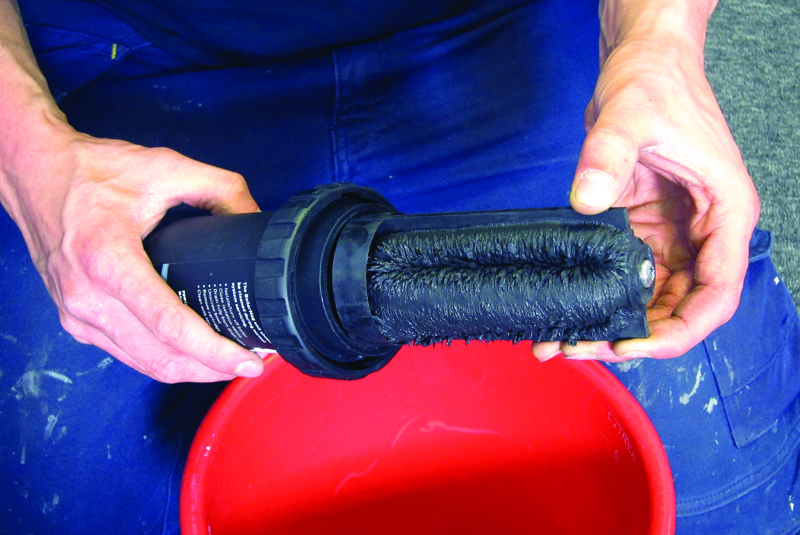 With the dreaded ‘black sludge’ being removed from the heating system, the system itself is able to work more efficiently, therefore using less energy. Householders can also benefit from the increased life of their boiler and heating system, meaning a reduction in maintenance costs. As awareness of environmental issues continues to increase, energy saving is becoming more and more important to homeowners who want to take responsibility for their carbon footprint. An efficiently heated home can reduce carbon emissions and save energy, protecting the environment as well as our pockets.